Walmart Inc. is making sweeping changes to its employment policies this month, granting paid sick leave to hourly workers in the United States, and, at the same time, possibly making it easier to fire those who miss too many shifts. Effective Feb. 2, the revamp standardizes a patchwork of local and regional policies crafted to comply with the growing number of states and municipalities requiring businesses to offer paid sick leave. Now all of Walmart’s store and warehouse workers will be able to earn as many as 48 hours of what it calls “Protected Paid Time Off,” which is classified separately from their regular vacation time and can be used for any reason. Walmart ranks No. 3 on the Transport Topics Top 100 list of the largest private carriers in North America. It’s the latest step in Walmart’s attempt to burnish its reputation as an employer. Last year, the company raised wages, expanded parental-leave policies and relaxed its dress code — moves that, Walmart says, have lowered employee turnover rates in the United States by more than 10 percentage points, though it won’t be more specific. Walmart’s new sick-leave benefit is the carrot in its policy overhaul. The retailer also has cut by nearly half the number of attendance infractions allowed over a six-month period before a worker is fired. In addition, quarterly bonus payments, which were based only on a store’s performance, now are partially tied to attendance. A worker who bails on a couple of shifts, for example, could see his or her bonus cut by as much as half. Those with no violations, meanwhile, can receive 25% more. (Workers who use their protected leave won’t be penalized for absences, no matter the reason. Drew Holler, a vice president of associate experience at Walmart, said paid sick leave was a “complicated issue” due to the various state and local regulations, and the new policy will “simplify the approach.” He said attendance over the most recent holiday period was better than during the same period a year ago. Walmart’s workers will start Feb. 2 with a clean slate, attendance-wise. Even so, at least one Walmart worker wasn’t happy about the change in bonus policy. “Our attendance has nothing to do with it,” said Sherry Koska, 68, who works at a Walmart in Rialto, Calif. and is involved with OUR Walmart, a labor activist group. Koska, though, said she had zero absence points, so she would qualify for the additional bonus. 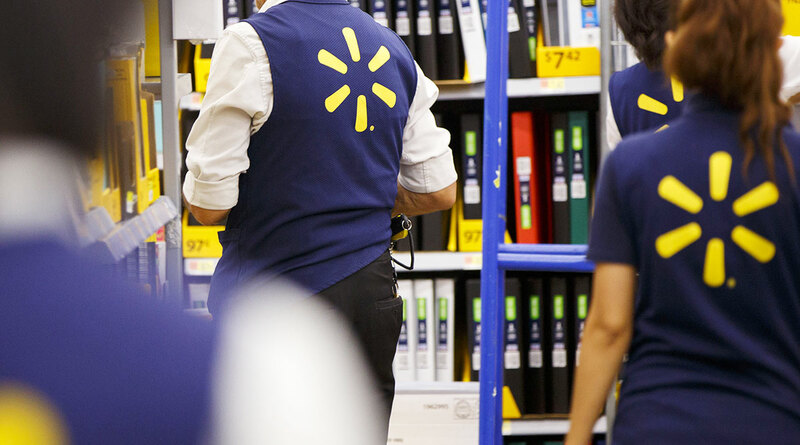 She’s not alone: About 300,000 U.S. hourly workers have perfect attendance, Walmart said. That’s less than a third of its 1.1 million-strong hourly workforce. By state law, Koska already gets paid sick time, along with Walmart workers in Illinois, Philadelphia and other jurisdictions that require it. Other big chains are in the same boat; overall, a little less than half of retailers surveyed by consultant firm Mercer said hourly employees get paid sick days on top of regular paid time off. At Starbucks Corp., baristas accrue paid sick leave from the date they are hired, at the same rate Walmart plans to offer—one hour for every 30 hours worked. At that rate, a full-time employee working 40 hours a week would be able to cover one eight-hour shift after six weeks. From Walmart’s perspective, the new policies are designed to combat absenteeism by making it easier for workers to take the time they need and discouraging no-shows. According to Mercer, measuring and reducing the impact of absences is among the top workforce priorities for companies with 5,000 or more employees. “What’s really happening is they are concerned about people abusing paid time off,” said Jennie Romich, an associate professor at the University of Washington whose research focuses on low-income workers.